Kashmir, located on the northernmost part of Indian subcontinent, is one of the most fascinating holiday destinations in India.Most of the thrill seekers and nature-lovers from across the world, search for best holiday deals for the domestic holiday package in India to enjoy an excursion in Kashmir. Ladakh: Also known as the adventure capital of India, is an ideal landmark for adventure enthusiasts to explore unlimited majestic sceneries. This marvellous landmark offers umpteen opportunities for a nature lover to reconnect with nature. 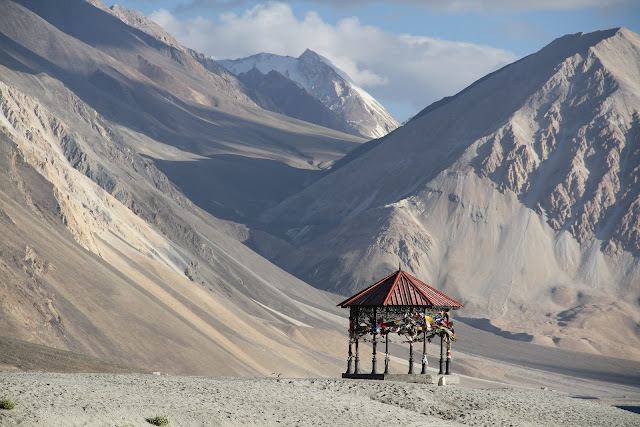 Though trekking is the main attraction for the adventurists, however, for peace-lovers there is a number of monasteries, Hemis Gompa is the famous one among them. Wular Lake: The Wular Lake is a marvellous landmark, formed as a result of tectonic movements of Himalayas. Millions of nature lovers come to this destination to embrace different kinds of migratory and terrestrial birds, and water creatures like a rosy barb, common crap, mosquitofish and many more. It is India’s largest freshwater lake. Amarnath Temple: Amarnath is believed to be the place where Lord Shiva enshrined to become one among the divine trinity. It is one of the most popular sacred places of Hinduism in India. The main attraction is the ice stalagmite Shiva monument. It is believed to shrink and expand with respect to the phases of the moon. Betaab Valley: Hosting captivating landscapes, beautiful meadow, delightful climate, and awe-inspiring valleys, Pahalgam attracts millions of tourists from across the world. From horse riding to trekking, from hiking to fishing, Amarnath offers many more enjoyable amusements. Srinagar: Famed as the summer capital of Kashmir, Srinagar holds an eternal beauty for nature lovers and travel enthusiasts. From panoramic valleys to scintillating houseboats, from lush gardens to picturesque landscape, Srinagar is a seamless blend of man-made and natural wonders. Apart from shrines and temples, Srinagar hosts a number of tourists attractions like the Nagin Lake, Tulip Garden, Pari Mahal, Chatti Padshahi, Chashma Shahi Garden. That converts the city from simple natural beauty to one of the ravishing tourist spots in Kashmir. Gulmarg: Gulmarg hosts a number of summer and winter resort. It is quite prominent to all the travel enthusiast. Gulmarg is about 52 Km away from the summer capital, Srinagar. Far-famed as “Meadow of Flowers”, tourists get to witness a perfect blend of Kashmir’s heavenly landscapes and weather in Gulmarg. While you are planning your trip to Jammu & Kashmir, do consider doing so with Travel Tours- which offers excellent deals on domestic and international holiday packages.